Bazı talyum bileşiklerindeki talyumun Li/Lα (i = l, β and γ) X-ışını şiddet oranları EDXRF spektrometresi yardımıyla ölçüldü. Bu bileşikler 241Am halka radyoaktif kaynağından yayımlanan 59.5 keV enerjili gama ışınları ile uyarıldı. Bileşiklerden yayımlanan L X-ışınları rezülasyonu 5.9 keV’ta 150 eV olan Ultra-LEGe dedektör ile sayıldı. Bu bileşiklerdeki talyumun Li/Lα X-ışını şiddet oranları saf talyum için teorik olarak hesaplanan değer ile karşılaştırıldı. Ll/Lα ve Lγ/Lα değerleri teorik olarak hesaplanan değer ile uyumlu iken, Lβ/Lα X-ışını şiddet oranı değerleri farklılıklara sahiptir. The Li(i = l, β, and γ)–to-Lα X-ray intensity ratios of Tl in some thallium compounds were measured by EDXRF spectrometer. These compounds were excited by 59.5 keV gamma-rays from a 241Am annular radioactive source. L X-rays emitted by the compounds were counted using an Ultra-LEGe detector with a resolution of 150 eV at 5.9 keV. Li–to-Lα X-ray intensity ratios of Tl in these compounds are compared with that of the pure Tl calculated theoretically. While the values of Ll/Lα and Lγ/Lα intensity ratios are compatible with the theoretically calculated value, the values of Lβ/Lα intensity ratios have differences.
.	Kazantzis G., Thallium in the Environment and Health Effects, Environ. Geochem. Health, 22 (2000) 275-280.
.	Frattini P., Thallium Proporties and Behaviour-A Litterature Study, Geological Survey of Finland, (2005).
.	Unterumsberger R., Hönicke P., Pollakowski-Hermann B., Müller M. and Beckhoff B., Relative L3 transition probabilities of titanium compounds as a function of the oxidation state using high-resolution X-ray emission spectrometyry, Spectrochim. Acta B 145 (2018) 71-78.
.	Apaydın G., Aylıkcı V., Kaya N., Cengiz E. and Tıraşoğlu E., Measurement of L Shell X-ray Production and Average L Shell Fluorescence Yields for Some Heavy Elements at 123.6 keV, Acta Phys. Pol. A 113 (2008) 1629-1638.
.	Doğan M., Cengiz E., Nas A, Tıraşoğlu E., Kantekin H. And Aylıkcı V., L Shell X-ray Fluorescence Parameters of Pb in phyhalocyanine complexes, Appl. Radiat. 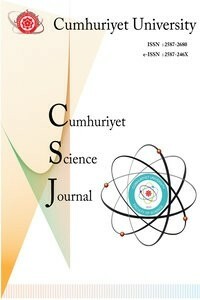 Isot., 104 (2015) 43-48.
.	Kaçal M.R., Durak R., Akman F., Turhan M.F. and Han, I., Measurement of L Subshell Fluorescence Cross Sections and Intensity Ratios of Heavy Elements at 22.6 keV, Rad. Phys. Chem., 80 (2011) 692-700.
.	Cengiz E., Tıraşoğlu E., Aylıkcı V. and Apaydın G., The investigations on K and L X-ray fluorescence parameters of gold compounds, Rad. Phys. Chem., 79 (2010) 809-815.
.	Kumar A., Chauhan Y. and Puri S., Incident Photon Energy and Z Dependence of L X-ray Relative Intensities, Atom. Data Nucl. Data, 96 (2010) 567-585.
.	Cengiz E., Tıraşoğlu E., Aylıkcı V., Apaydın G. and Küp Aylıkcı N., Investigation on L-shell X-ray fluorescence parameters of heavy elements and compounds, Chem. Phys. Lett., 498 (2010) 107-112.
.	Cipolla S.J., L X-ray Intensity Ratios for Proton Impact on Selected Rare-earth Elements, Nucl. Instr. and Meth. B, 261 (2007) 153-156.
.	Karabulut A. and Gürol A., Measurement of L X-ray Fluorescence Cross Sections and Relative Intensity Ratios for Some Elements in the Atomic Range 72≤ Z≤92, Nucl. Instr. and Meth. B, 244 (2006) 303-306.
.	Salah W. and Al-Jundi J., Measurement of L X-ray Cross Sections and Relative Intensities of Heavy Elements by 15.2 keV Photons, J. Quant. Spectrosc. Rad. Trans., 94 (2005) 325-333.
.	Kurmaev E.Z., Ankudinov A.L., Rehr J.J., Finkelstein L.D., Karimov P.F. and Moewes A., The L2:L3 Intensity Ratio in Soft X-ray Emission Spectra of 3d Elements, J. Electron Spectrosc., 148 (2005) 1-4.
.	Liu Z., Yuge K. and Kawai J., High Resolution X-ray Fluorescence Spectra of Palladium Compounds, Spectrochim. Acta B, 59 (2004) 93-99.
.	Ramakrishna Y., Rao K.R., Nagu Raju G., Rao K.B., Rao V.S., Venkateswarlu P. and Reddy S.B., L X-ray Energy Shifts and Intensity Ratios in Tantalum with C and N Ions- multiple Vacancies in M, N and O Shells, Pramana J. Phys., 59 (2002) 685-691.
.	Ismail A.M. and Malhi N.B., L Shell X-ray Relative Intensities of Some Heavy Elements Excited by 20.48 keV X-rays, X-ray Spectrom., 29 (2000) 317-319.
.	Raghavaiah C.V., Rao N.V., Reddy S.B., Satyanarayana G. and Sastry D.L., Lα/ Ll X-ray Intensity Ratios for Elements in the Region 55≤Z≤80, J. Phys. B: At. Mol. Phys., 20 (1987) 5647-5651.
.	Verma H.R. Pal D., Garg M.L. and Trehan P.N., Photon Induced L Shell X-ray Intensity Ratios for 74W and 80Hg in the Energy Range 17≤E≤47 keV, J. Phys. B: At. Mol. Phys., 18 (1985) 1133-1138.
.	Shadendra K., Allawadhi K.L. and Sood B.S., Energy Dependence of Photon-induced L Shell X-ray Intensity Ratios in Some High Z Elements, J. Phys. B: At. Mol. Phys., 16 (1983) 4313-4322.
.	Berger, M. J., Hubbell, J. H., Seltzer, S. M., Chang, J., Coursey, J. S., Sukumar, R and Zucker, D. S., 2005. XCOM: Photon Cross Section Database (version 1.3) [Online] (Gaithersburg, MD: National Institute of Standards and Technology), available at http://physics.nist.gov/xcom.
.	Scofield J.H., Theoritical Photoionization Cross Sections from 1 to 1500 keV, Lawrence Livermore Laboratory (UCRL), No: 513626 (1973).
.	Krause M.O., 1979. Atomic Radiative and Radiotionless Yields for K and L Shells, J. Phys. Chem. Ref. Data 8 (1979) 307-327.
.	Scofield J.H., Relativistic Hartree-Slater Values for K and L Shell X-ray Emission Rates, Atom. Data and Nucl. Data, 14 (1974) 121-137.
.	Mazalov, N. ve Treiger, B.A., Chemical Bonding Effects in X-ray Spectral Analysis, Struct. Chem., 24 (1983) 276-305.
.	Agarwal, B.K., X-ray Spectroscopy: An Introduction, Springer-Verlag, Berlin, New York, (1979).
.	Zschornack, G., Handbook of X-ray Data. Springer Berlin Heidelberg Press, Newyork, (2007).
.	Carlen, M.W., Polasik, M., Boschung, B., Dousse, J.-Cl., Gasser, M., Halabuka, Z., Hoszowska, J., Kern, J., Perny, B. ve Rheme, Ch., M- and L-shell Ionization in Near-central Collisions of 5.5 MeV/amu 16O Ions with Mo Atoms Deduced from Theoretical Analysis of High Resolution K X-ray Spectra, Phys. Rev. A, 46 (1992) 3893-3903.
.	Pajek, M., Banas, D., Semaniak, J., Braziewiez, J., Majewska, U., Chojnacki, S., Czyzewski, T., Fijal, I., Jaskola, M., Glombik, A., Kretscmer, W., Trautmann, D., Lapicki, G. ve Mukoyama, T., Multiple Ionization and Coupling Effects in L-subshell Ionization of Heavy Atoms by Oxygen Ions, Phys. Rev. A, 68 (2003) 022705-022722.
.	Cooper J.N., Auger Transitions and Widths of X-ray Energy Levels, Phys. Rev. 65 (1944) 155-161.